Howdy. This could be solved by anyone familiar with Vandercook anatomy. 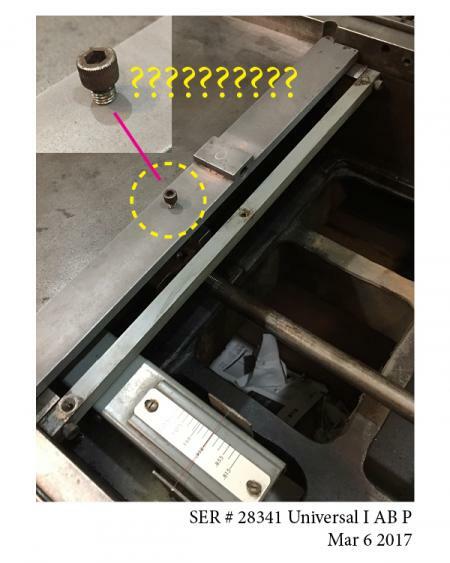 I recently have been cleaning 20+ years of crud from a Universal I and tried to bag and identify all the parts I took off, but this bolt (attached image) eluded documentation of its original placement. I know it is from the end of the press … but where? See the bolt hole at the far top right of your image? 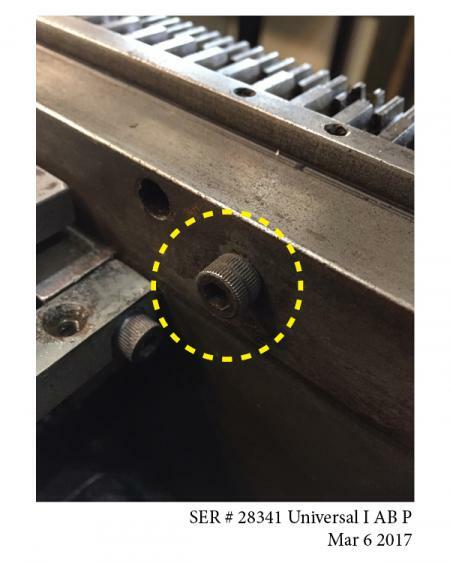 I have often removed bolts like this one from these holes when I have cleaned up a press. See if it fits the threads there. And if it does, put it in your spare parts box. Virtually speaking, surrounding myself with smart people is one of the many things about Briar Press I am grateful for. Now, what is it there for?